LOS ANGELES – Today, FOX Sports announces retired UFC middleweight champion Michael Bisping, retired title contender Kenny Florian and lead UFC host Karyn Bryant work the desk for THE ULTIMATE FIGHTER FINALE and UFC 226: MIOCIC VS. CORMIER programming on Thursday, July 5, Friday, July 6 and Saturday, July 7. Brendan Fitzgerald and veteran MMA analyst Jimmy Smith call THE ULTIMATE FIGHTER FINALE live on FS1 and streaming on the FOX Sports app Friday, while Santiago Ponzinibbio and Victor Davila call the bouts in Spanish on FOX Deportes. Megan Olivi adds reports and interviews fighters. On Saturday, blow-by-blow announcer Jon Anik is joined by analysts Joe Rogan and former bantamweight champion Dominick Cruz to call the bouts live Octagon-side at the T-Mobile Arena in Las Vegas. Olivi works as backstage reporter. Former UFC heavyweight champion Fabricio Werdum joins Ponzinibbio and Davila to call the UFC 226 PRELIMS in Spanish on FOX Deportes. UFC 226 is headlined by heavyweight champion Stipe Miocic (18-2) going for his record fourth consecutive title defense against light heavyweight champ Daniel Cormier (20-1, 1NC). Cormier’s moving back up to the heavyweight division, where he was undefeated, looking to be one of two UFC fighters to hold belts simultaneously in two different weight classes. In the co-main event, featherweight champion Max Holloway (19-3) looks to continue his 12-fight win streak as he takes on undefeated No. 1-contender Brian Ortega (14-0, 1NC). Ortega hopes to continue his winning ways, coming off an impressive victory in March when he became the first fighter to ever finish former lightweight champ Frankie Edgar. 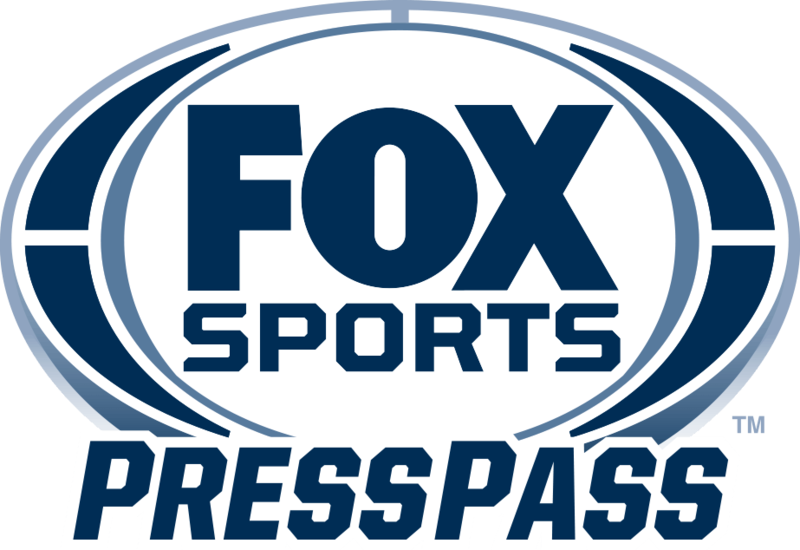 The week’s coverage kicks off on FS1 and the FOX Sports app Wednesday, July 4 at 8:00 PM ET with UFC TONIGHT, where host Florian, guest host Bisping and Bryant interview fighters and preview the weekend’s biggest bouts. The final episode of THE ULTIMATE FIGHTER: UNDEFEATED comes on at 10:00 PM ET, followed by TUF TALK at 11:00 PM ET. FOX Sports’ UFC coverage shifts to Las Vegas on Thursday, July 5 for THE ULTIMATE FIGHTER FINALE WEIGH-IN SHOW on FS1 and the FOX Sports app at 7:00 PM ET, as Bryant, Florian and Bisping preview the fights and Olivi interviews fighters backstage. Friday’s programming starts with the FS1 UFC 226 WEIGH-IN SHOW on FS1 and streaming on the FOX Sports app at 6:00 PM ET. Action continues at 7:00 PM ET with THE ULTIMATE FIGHTER FINALE PREFIGHT SHOW, as the same desk crew breaks down the evening’s upcoming battles. The ULTIMATE FIGHTER FINALE PRELIMS begin at 8:00 PM ET, with Fitzgerald and Smith calling the four exciting bouts. The main card starts at 10:00 PM ET on FS1 and FOX Deportes, featuring six more thrilling bouts – with final bout order determined after the final episode of THE ULTIMATE FIGHTER: UNDEFEATED on Wednesday. The evening wraps on FS1 with THE ULTIMATE FIGHTER FINALE POSTFIGHT SHOW at 1:00 AM ET. Saturday’s programming begins at 7:00 PM ET with the FS1 UFC 226 PREFIGHT SHOW. The UFC 226 PRELIMS continue at 8:00 PM ET on FS1, FOX Deportes and the FOX Sports app, with four matchups. No. 9-ranked middleweight Uriah Hall (14-8) faces undefeated No. 10 Paulo Costa (11-0), while No. 14 lightweight Paul Felder (15-3) moves up to 170 pounds to face Mike Perry (11-3). No. 3 Raphael Assuncao (26-5) takes on No. 11 Rob Font (15-3) in a bantamweight thriller, and Curtis Millender (15-3) and Max Griffin (14-4) lock horns in a welterweight showdown. Action wraps immediately following the UFC 226 Pay Per View main event with the FS1 UFC 226 POSTFIGHT SHOW (1:00 AM ET). Leading up to the fights, UFC fighters offer unique, behind-the-scenes clips on FOX Sports PROcast and on the FOX UFC social pages. Follow @UFConFOX on Twitter, Facebook and Instagram for all updates throughout the #TUFFinale and #UFC226 fights this Sunday. Viewers can live stream the UFC shows on the FOX Sports app, through FS1 streams. The shows are available on desktop at FOXSports.com and through the app store or on connected devices including Apple TV, Android TV, Fire TV, Xbox One and Roku. In addition, all programs are available on FOX Sports on SiriusXM channel 83 on satellite radios and on the SiriusXM app.